Okash Loan App is at the top on Google play store's list of daily downloads for free apps in Kenya beating even it's own Opera News. 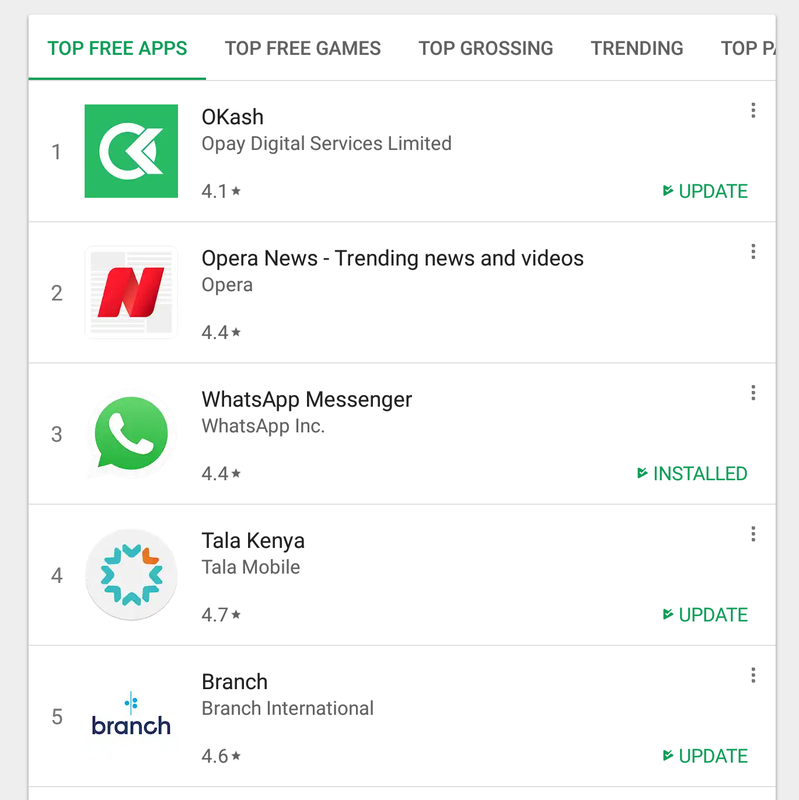 The app which provide quick mobile loans of between kes1500 to kes500000 to Android Smartphone users in kenya was launched in March 2018, and its barely two months old now. Eddie Ndichu, MD Opera confirmed that the app has over 100000 active users daily ,disbursing about kes10million in loans a day. In total, Okash Loan App has close to 500000 downloads .